All cuts feature Michael Schenker on lead guitar. * These tracks are not added on the vinyl album picture disc release. reissued March 2014 as "Michael Schenker & Friends: Guitar Master"
reissued March 2014 as "Michael Schenker & Friends: Blood Of The Sun"
All cuts feature Michael Schenker on lead guitar; rhythm guitar on track 05 and 08. David Glen Eisley : background vocals on "Hair Of The Dog". Brett Chassen and Bob Kulick : background vocals on "Out In The Fields". Jeremy Robulino : keyboards on "Doctor, Doctor". Produced and Mixed by Bob Kulick and Brett Chassen. Recorded at the Office Studios, Van Nuys, CA. Billy Sherwood : additional engineer on "Money"
Bruce Bouillet : additional engineer on "War Pigs"
Bob Held : additional engineer on "All Shook Up"
Co-production / ProTools by Jeremy Rubolino. 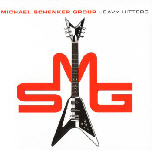 MICHAEL SCHENKER "Doctor, Doctor : The Kulick Sessions" is actually a re-release (with 4 more tracks) of the 2005 Michael Schenker album "Heavy Hitters". 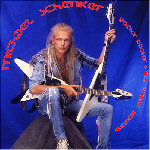 The 14 track version "Doctor, Doctor : The Kulick Sessions" is reissued on compact disc March 2014 by European label Solid Rockhouse Records entitled "Michael Schenker & Friends: Guitar Master". Also German label Collectors Dream Records reissued the 14 track version March 2014. 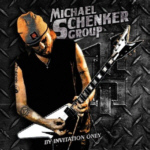 This version is entiteld "Michael Schenker & Friends: Blood Of The Sun".